There are over 30.2 million small businesses in the United States. If you run a small business (or you’re thinking of starting one), you already know the importance of healthy cash flow and staying on top of your finances. However, knowing the optimal business tax credits can save your company hundreds of thousands in taxed dollars every year. Do you know all the tax breaks you should know? Let’s find out! Are you interested in furthering your education? The government may reward you for that! The Lifetime Learning Credit helps offset some of the costly fees associated with post-secondary education. It is available for any number of years, and it is available even if you don’t pursue a degree. The amount of credit is 20% of the first $10,000 of qualified expenses for a maximum $2,000 return. However, your income must not exceed $67,000. Employers must obtain appropriate documentation indicating that the individual belongs to the targeted group. Businesses may be eligible to receive funds ranging from $1200-$9500 per employee (without limitations to the number of claimed employees). If you’re not sure if you’re eligible for this credit, it’s best to consult with an accountant. He or she can help you navigate the appropriate course of action. Are you taking care of helping your employees set up future success? Not only does this make you a great boss, but it can also score you a lucrative tax break for your business. 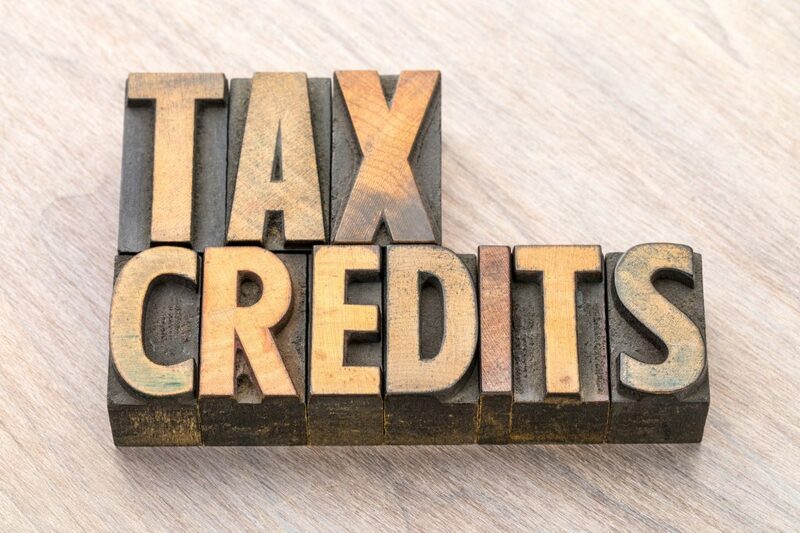 You may be eligible to receive a 50% tax credit (maximum of $500 per year) for start-up and administrative costs associated with setting up retirement plans. You can claim the credit for the first three years of the plan as long as you have fewer than 100 employees and at least one plan participant who is a non-highly compensated employee. Do you work as a sole proprietor? If so, you can open a Solo 401(k) or Sep IRA and reduce your taxable income. Although the home office deduction used to stir some controversy around the notion of getting audited, the IRS encourages business owners to take advantage of this deduction. In fact, they’ve recently made it simpler to calculate your write-off. Simply deduct $5 per square foot of the space used for business (up to 300 square feet). The office must be used regularly and exclusively for business, and it also needs to be the principal place of business practices. You will need to calculate the percentage of your office space compared to the total square footage of your home to obtain accurate estimates for each deduction. Many small businesses employee independent contractors or freelancers for various needs. That said, the cost of this labor is deductible. You must issue a Form 1099-MISC to all contractors who receive $600 or more during the business year. Some third-parties (such as Paypal) will create and send these forms to your contractors. However, it is often considered best practice for you to send your own 1099 for documentation records. Do you have full-time employees, externally provided workers, or clinical trial volunteers? You may be eligible for other tax credits. GrantTree can provide you with more information. You can deduct the costs associated with any relevant insurance policies that apply to your business. These policies include plans like malpractice coverage, flood or earthquake insurance, and personal liability insurance. It also includes health insurance for you and your employees. Small businesses can currently claim tax credits up to 50% of the health insurance premiums paid for employees. If you’re a sole proprietor, you can deduct the health insurance premiums you pay for you, your spouse, and your dependents. However, you cannot include premiums paid if you could have been covered under an employer-subsidized plan. Didn’t turn a profit during the first year? It’s rough, but you can still get some relief. The IRS allows you to carry over capital losses, operating losses, and other deductions into future tax years to reduce your taxable income. For example, let’s say you worked out your home office, but your expenses cost more than the total income you earned. If this is the case, you may be eligible to apply your deductions to a future year. If you experience an operating loss, you can carry back the loss for two years or up to 20 years in the future. There is no limit to the amount you can deduct. This option makes the most sense if you are in a lower tax bracket (but expect to be in a higher one in the future). Taking advantage of all the business tax credits available to you will reduce your taxable income- which results in more cash for you and your business. Are you getting ready to do your tax return this year? We’ve got you covered. Check out this article to learn the top mistakes you need to know before you file.